Burglary, Shop Lifting and other charges for stealing can be serious crimes. In fact, a first-degree burglary conviction can result in life in prison. If you are charged with crimes involving breaking and entering or theft, you need a criminal attorney to help defend you. 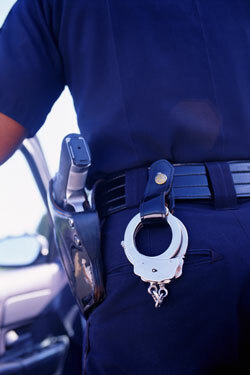 Nathan Sheldon is an experienced criminal defense attorney. As a former prosecutor, he understands how the criminal justice system works and what defense strategies to use in court. He is a member of the South Carolina Association of Criminal Defense Lawyers. There are several different types of burglary charges in South Carolina. Burglary is defined as the act of illegally entering with intent to commit a crime. Some factors that can increase the possible penalties for burglary are the time of day the burglary happened, whether a weapon was used or taken, and if there are any previous convictions. While burglary charges do not have to involve theft, they commonly do. In many cases, if you are charged with burglary, you will also be charged with larceny (theft). Getting help with your defense from an experienced burglary attorney will help you fight the burglary charges and any other related theft charges. In South Carolina, larceny (commonly known as theft) charges are based on value of the property that was taken. Prosecutors must prove the value of the property taken, as well as that it was not just borrowed. Hiring an experienced theft attorney can help make sure all options for your legal defense are explored. Shoplifting is theft from a store. Convictions for shoplifting carry similar penalties to other thefts, but are treated a little differently under the law. The circumstances of your case will determine what defense strategies to pursue. Getting burglary charges dropped is the ideal solution. There may be a lack of evidence against you, there could be technical problems with the way the police or solicitor handled the evidence or legal proceedings, or there may be other ways to defend you. To determine more about your defense and gain a better understanding of the charges and potential penalties you are facing, contact our office to schedule a consultation.